Bananas are crammed with potassium and vitamin B6, great for alleviating mood swings and and reducing water retention. Magnesium rich walnuts, calcium and Vitamin D dense yoghurt and antioxidant rich blueberries make this a great option for breakfast or snack satisfying a sweet tooth without causing a sugar rush/dip! I use the American measures for this recipe it just makes life a lot easier, they're readily available to buy online or in big supermarkets/department stores. 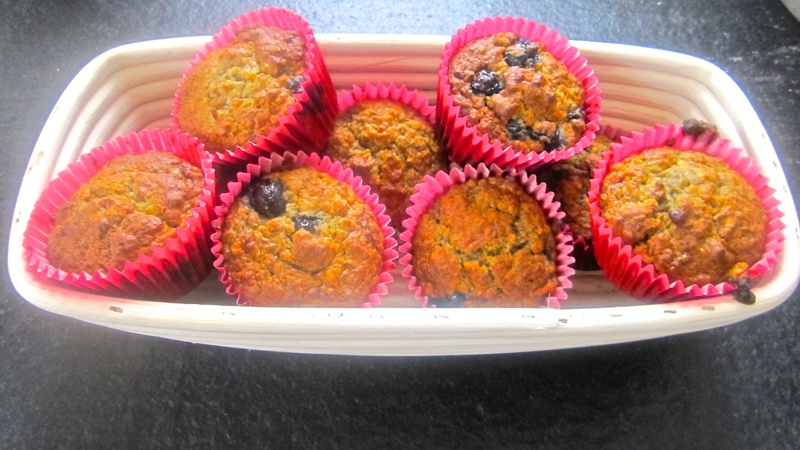 Share the post "Banana & Blueberry Muffins"